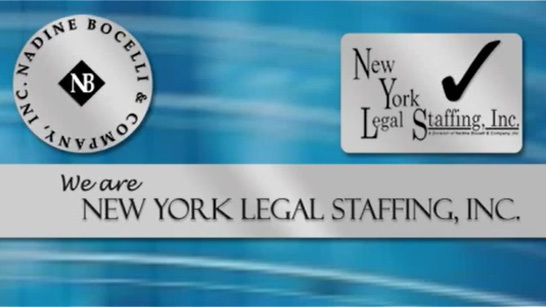 Client Intake Specialist/Paralegal – Entry Level College Graduate – (Bergen County) – Nadine Bocelli & Company, Inc. – New York Legal Staffing, Inc. Established Bergen County, New Jersey personal injury law firm seeks a new client intake specialist. Candidates must have strong communication and organizational skills. Heavy phone volume with potential clients across the nation. Professional demeanor, excellent telephone etiquette and a desire to help others. Law firm experience preferred or recent customer service and/or sales. Potential to go perm. College degree required. Days/Work Hours: Monday - Friday, 9:00am - 6:00 pm (w/ flexibility for overtime). Hourly rate commensurate with experience.